Unlike Warner Bros. whose success with Warner Games is well known, the Mouse has had trouble making a substantial footprint in this growing arena of entertainment. The companies that have made up Disney Interactive have failed to leverage the powerful brands at their disposal, or even inspire new franchises, much less innovative game play or improve gaming quality. Part of that is strategy, and part is simply not having purchased the right companies (a post for another day). But could Disney have another plan? A more grand plan? One that involves not just creating games, but what plays them as well? And not only that, but could they be working with the Fruit Company? According to an article on the website Patently Apple, Disney has filed for a patent that just might be tangible proof that they're planning on entering the console gaming field. Now, it is not an easy field to enter and succeed at. Microsoft and Sony still report losses on their hardware, but make up for it with their licensing of games for their consoles. Disney has plenty of properties that they can mine by making exclusive to a proprietary console. But their games under Disney Interactive have been rather lacking in the potential they have, and the results they've achieved. I wish Iger would have the same desire to go after gaming companies the way he goes after film properties (Pixar, Marvel, Lucasfilm, etc.). There are some excellent companies that could/would be perfect for developing the internal gems that the company has, or has acquired over the past decade (again, a story for another post). 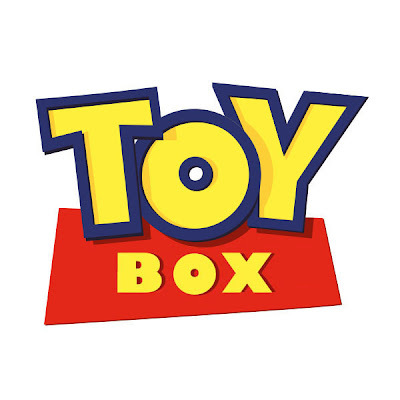 It's been widely known that Iger was having Disney work on some form of gaming initiative known as "Toy Box," but up until now it wasn't thought that it might involve an actual console, or the involvement of Apple. If it is working on a system of its own, don't expect it to be seen anytime soon; certainly not this year. Late 2014 would be the earliest you would see a system like this, and I doubt it even then. It's more likely that anything coming from this project doesn't show up before 2015. Witty last last! I love it! why was disney's Wreck it Ralph game made & distributed by Activision???? honor i cant wait for that post. this is the main thing as a shareholder that pisses me off they could have bought plenty of game companies and been doing well like warner but they are lacking in that regard. level 5 is not a subsidiary and ni no kuni wrath of the white witch is the most disney non-disney game i have seen. but i digress sorry for the rant.